Learn Digital Marketing from five leading European universities using real industry case studies. Become more employable in the digital marketing area or learn how to improve your organisation's online marketing strategy. With budgets for digital marketing constantly growing, organisations are facing a major skills shortage. The need for individuals who understand business combined with technical knowledge in Digital Marketing has never been greater. This course is based on European case studies showing current digital and social media marketing practices across Europe. Europe is one of the largest regions for digital and social marketing used but there are many local preferences and this course will help you to navigate these complexities. This course combines practical skills and theoretical knowledge with the goal of teaching you the skills to improve digital and social media marketing in organisations. Organisations who want to establish and improve their digital and social media marketing footprint. Everyone interested in digital and social media marketing who might consider studying or working in the field. Basic computer knowledge and skills are necessary and a business background would be advantageous but is not essential. Introduce current and core practices of Digital and Social Media Marketing that will allow learners to analyse, plan, execute and evaluate a digital marketing strategy. Introduce core tools currently used in Digital and Social Media Marketing that will allow learners to analyse, plan, execute and evaluate a digital marketing strategy. Develop an understanding of Search Engine Optimisation (SEO), Social Media Optimisation, Affiliate and other relevant communication channels for engagement of digital communities. 1. Why is Digital and Social Media Marketing important today and in the future? 5.6 What makes content to go Viral? 5.7 How to create content viral? 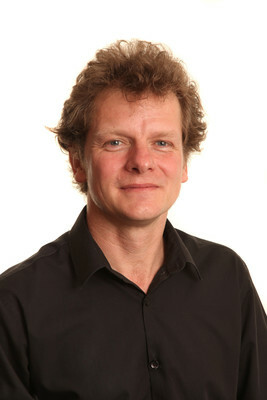 Aleksej is a Senior Lecturer at Salford Business School, University of Salford. He has a wealth of lecturing experience in a variety of subjects mostly concerned with the use of Information Technologies to benefit business. 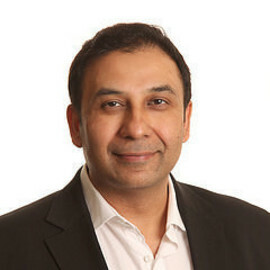 In addition to his teaching, he has been active in a number of management and leadership roles including Co-Director of the Centre for Digital Business and Social Media Champion at Salford Business School. Dr. Fletcher is an educator, manager, researcher and innovator with an eye for the distinctive, inspirational and new. Gordon is currently the academic unit head of international operations and information management in Salford Business School. 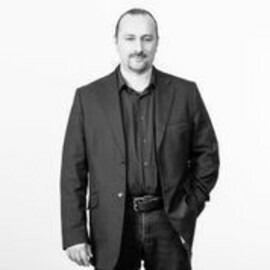 Gordon’s research broadly focuses on all aspect of Digital Business and Cultures. 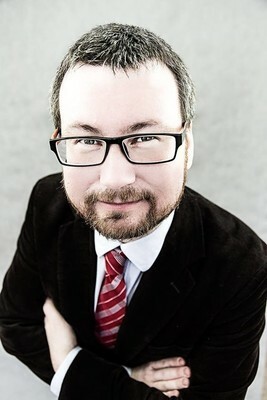 He has previously published work about conflict in social networks, the concept of thanonetworking and the use of science fiction prototyping. Gordon regularly writes for The Conversation on topics relating to digital business including hacked websites, social networks, the Internet of Things and cryptocurrencies. Dr Tahir Rashid is an internationally renowned academic in Digital Marketing with a research focus on SMEs and Muslim customers. He is a Senior Lecturer at Salford Business School and Director of PGT International Marketing and Services Management Programmes; as well as a Visiting Professor at the University of Kaunas, Lithuania and Adjunct Professor at the University of Vitez, Bosnia. Tahir has managed UK and European sponsored projects enabling SMEs to improve their Digital and Social Media Marketing strategies. He is widely published in international journals and has co-authored textbooks as well as presented at global academic and practitioner conferences. Assistant professor at the Department of Marketing, Faculty of Management, University of Lodz with over 10 years of experience in teaching and research. Experienced in preparing and running e-learning and blended courses. Specializes in modern media and marketing communication tools and techniques (including internet marketing communication, social media, etc.). Responsible for quality of teaching and development of curriculums within the Faculty of Management (establishing and implementing quality framework for educational programs at the Faculty, including identification and design of required skills, competences and learning outcomes). Runs scientific marketing students organization MarkeTEAM. 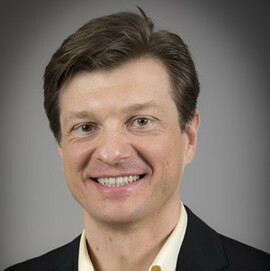 Prof. dr. Rimantas Gatautis is the Director of Electronic Business Research Centre, at the Kaunas University of Technology. Prof. Gatautis has a wide-ranging experience in European Commission project in the Leonardo da Vinci, EUREKA, COST and 6F, H2020 programs. He is also member of several scientific and advisory committees responsible for evaluating national government programs in the domains of electronic business and electronic government. He served as an expert in Lithuania National Study and Science Fund, Lithuania Science Board, Information Society Development Committee under Lithuania Government, National Development Agency and as a reviewer of projects in various European programmes. Elena Vitkauskaite is Research Associate at Electronic Business Research Center, Kaunas University of Technology, Lithuania. She works in various research projects funded by Lithuanian government and European Commission (e.g. 6th Framework, Interreg IVC, etc.) related to e-Business, e-Government. Current research issues related to modelling of business processes, quality measurement of electronic services, cross-cultural issues on the web, social network sites. 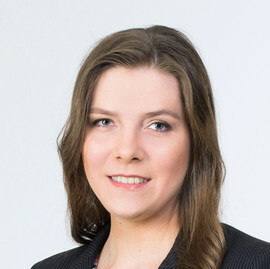 Elena Vitkauskaitė is Ph.D. candidate since 2008. Preliminary topic of her dissertation: "Localisation of Marketing Decisions in Social Network Sites"
Dr. Milanka Slavova is an associate professor at the University of National and World Economy, Sofia. She has taught Bachelor’s and Master’s courses in Marketing Management, New Product Development and recently in Digital Marketing. 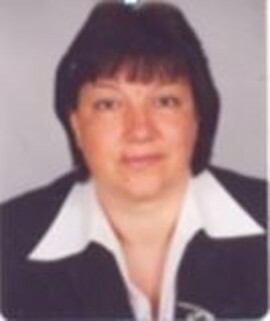 An experienced lecturer, Dr. Slavova has delivered marketing and sales training courses in a number of companies. In addition, she has participated in the development and the implementation of research and educational projects under the EU Framework and Long Life Learning Programmes. The areas of her research and publications are innovation management, marketing and digital transformation. Her innovative thinking inspired the initiation of the first Master’s degree programme in Digital Marketing in Bulgaria. Dr. Ana Cruz is a multiple award winning marketer with over 15 years international experience in public, private, commercial, non-profit and environmental sectors. Ana lectures in Marketing Communications and Brand Strategy, teaching at The University of Sheffield, International Faculty CITY College since 2010 in the Executive MBA, undergraduate and postgraduate levels. 2008 - B2B Marketing Award (UK), best product launch. 2008 - Chartered Institute for Waste Management’s award (UK), best Sustainable Product Development of the Year. 2006 - Budma construction exhibition award (Poland), best stand. 2006 - B2B marketing awards (UK), best internal branding. 2006 - Economic Science and Research (ESRC) award innovation category. 2005 - British Academy of Management conference award, winner in the knowledge and learning track. Said Business School, University of Oxford, UK. 2004 - Construction Marketing Awards (UK), Best Technical literature. Ana has been working for various corporations for the last 15 years in various marketing positions. In her last industry role in the UK, she was responsible for marketing, communications and engagement for WRAP , the delivery body of the UK's Environment Ministry (DEFRA). She was responsible for the Construction, Local Authorities and Recycling Industry sectors. Prior to that role she worked for Tata Steel Europe as Marketing Communications Manager, Brand Manager and Product Manager. She has also worked as a product designer in the events, exhibitions and packaging industries. Parallel to her career as a marketer Ana has lectured on a part time basis at Manchester University and the University of Salford in the UK. Ana is regularly invited as a guest lecturer or keynote speaker in seminars and conferences, discussing topics of marketing, viral content, innovation in marketing, B2B marketing and brand strategy. Recently she was the key note speaker and ran a workshop at the Marketing 360 conference in Bucharest and was a guest lecturer at SNSPA University. Bucharest. Romania. Ana’s standing in the profession is complemented with a strong commitment to teaching and learning and in implementing creative assessment methods. 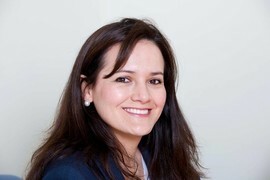 She is also a Chartered Member of the Chartered Institute of Marketing in the UK.